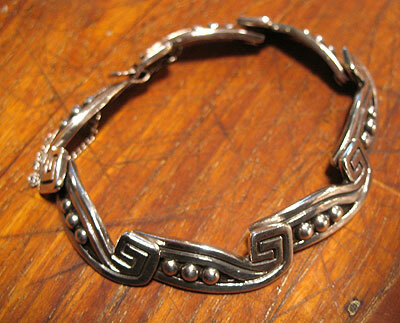 This bracelet reflects the native Aztec and Maya influence used by the Taxco artisand in the mid 20th century. 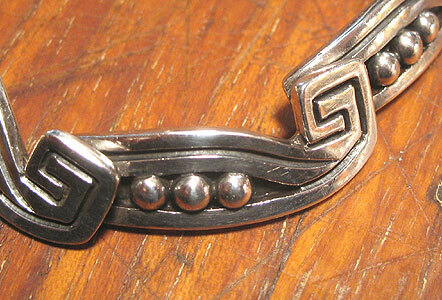 A great design, complete with safety chain. Sadly, no marks at all.